Welcome to the UpSpring Blog! 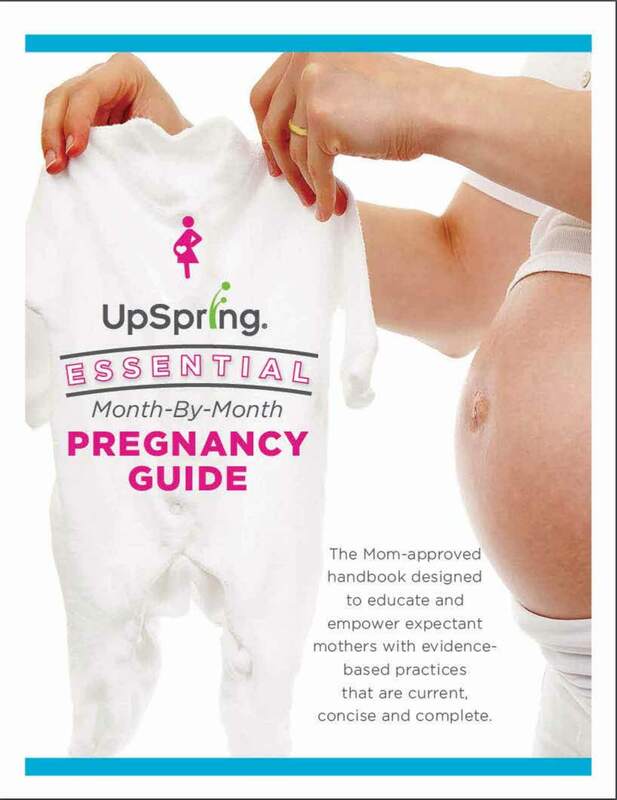 Motherhood Manuals - Gestational Guides: Fertility through Pregnancy & Postpartum, Breastfeeding and Beyond! Why Do I Still Have a Post-Baby Belly 1 Year After Giving Birth? Compression Garments or Comfy Clothes: What to Wear Postpartum After a C-Section? Does the Best Prenatal Vitamin have Folic Acid or Folate? Your Baby’s Brain Health Might be at Risk Without These 2 Essential Nutrients - Does Your Prenatal Vitamin Measure Up? Handling Motherhood with Grace & Humor: 5 Instagram Moms You Should Be Following! As a parent, you will experience many “firsts” with your little one, but one of the most memorable of those will be baby’s first steps. About 25% of babies start walking around 11 or 12 months or age, but for some babies walking can take up to 16 months. Don’t fret if your baby is not walking by the end of the first year. Every baby will follow their own timeline and will use their first year of life to develop coordination and muscle strength. Babies must first learn to sit, roll over and crawl before they start pulling up and standing. Once baby starts pulling up it takes almost 1,000 hours of practice before they can walk alone. There are many signals to be on the lookout for, indicating that your baby may be ready to start walking. The first of these signs or clues baby is interested in walking may include scooting across the floor, the soldier crawl or crab walking. Baby may also start using the furniture to pull themselves up to a stance or standing and squatting. These are all exciting first signs of walking to watch for, but remember, there are important steps baby must take before taking the actual ones. Did you know strong back muscles are essential to mastering walking? To help build this vital muscles be sure to incorporate lots of important tummy time which can help develop baby’s back muscles. You can also help your baby strengthen their back muscles by using a favorite toy or something else enticing to baby’s eye. By placing the object just barely out of reach and/or changing the position of the object from side to side, you can encourage baby to reach and lean left and right which will help strengthen muscles. As baby is beginning his or her journey to mobility, it’s time to take your childproofing up a notch. With baby using furniture, and other household items, to pull up on and keep their balance, parents should make sure there is not anything that can topple over easily. Covering or removing furniture with sharp corners and sealing floor items such as power cords can also prevent potential injuries. If baby is practicing walking outside then they should have on a pair of shoes to protect their delicate feet. Otherwise, when baby is learning to walk they should not wear shoes in the house so they can get a solid grip on the floor and exercise the muscles of their feet better. When baby is able to stand and ready to start moving, parents will want to hold baby’s hands to help them learn to walk. However, parents may inadvertently pull on baby’s hands or forearms putting additional stress on the elbows. With even just a small amount of force, the elbow ligament can slip over the radial head and even tear, causing the bone to move out of place. This is known as nursemaid’s elbow, which is the most common orthopedic injury in children under the age of 2. Nursemaids elbow is also known as toddler elbow, dislocated elbow, pulled elbow or slipped elbow. Nursemaid’s elbow does not cause long-term damage but will cause initial pain that can require a visit to the doctor so they can slip the bone back in place. As children get older their ligaments tighten and become thicker, bones enlarge and harden, and the risk of nursemaid's elbow decreases. Using UpSpring’s Walking Wings can help reduce the incidence of nursemaid’s elbow because parents are not tugging or pulling on baby’s arms or wrists while they are learning to walk. The soft padded vest lets baby balance hands free (no holding on to mommy or daddy’s hands) so he can experience the true sensation of balancing on his own. Every baby’s walking journey will be different. Remember to be patient and keep in mind the old adage, “be careful what you wish for.” Once baby takes those first steps there is no turning back and they are off to the races.